Shenyang Halal Restaurants, Shenyang Muslim Restaurants, Halal food in Shenyang, Muslim Food in Shenyang. 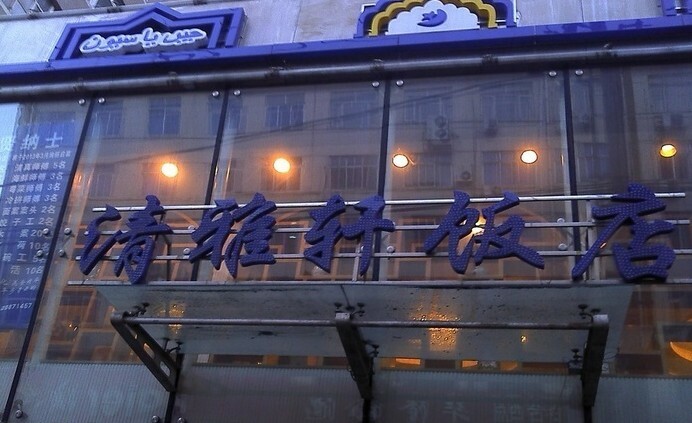 Muslim cuisine in Shenyang combines authentic Muslim cuisine with local Shenyang cuisine. Some Halal restaurants serving Shenyang local Halal food are Tanmingxuan(唐茗轩), Haixinlonggong(海馨龙宫), Qingyaxuan(清雅轩饭店), Youyishun(又一顺), One Cattle Muslim Restaurant(一头牛清真饭馆), Laobeili Hui’s Nine Big Bowl(老北里回民九大碗) and so on. Beef Stew(炖牛肉) is a typical Shenyang Halal dish. The most authentic Beef Stew in Shenyang could be found at Wanshengguan Halal restaurant (万盛馆)。In Shenyang the special flavor Halal snack is Ma Shaomai. It was invented by Ma Chun in 1796. Ma Shaomai is made of wheat flour, rice flour, beef. The way of making Ma Shaomai is like dumplings, put the stuffing into the wrapper, but don’t need to close the wrapper completely. After steaming in the steamer for a while, the Ma Shaomai is ready for eating, the shape looks like a peony bud just ready to burst. Copyright (C) IslamiChina Travel Ltd, All rights reserved.